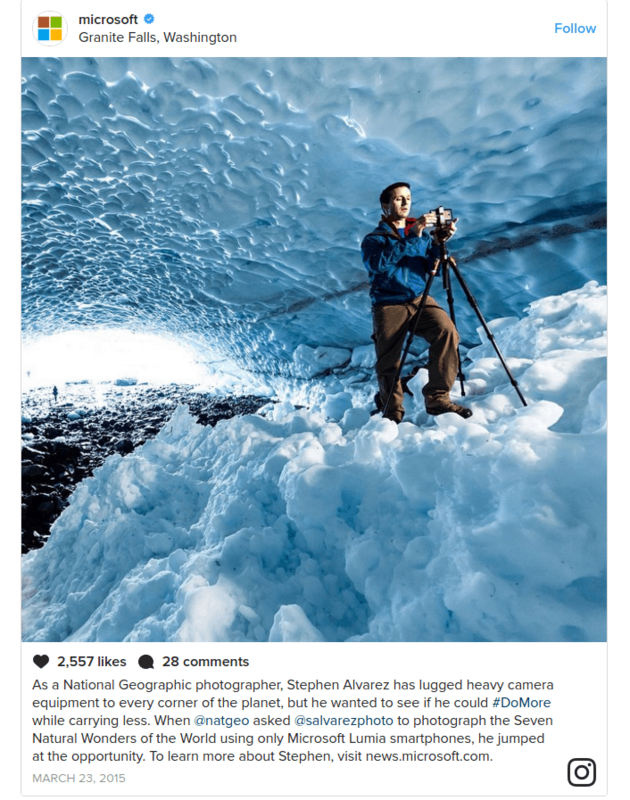 Instagram isn’t just for travel bloggers, models and consumer brands. Here’s how some business-to-business (B2B) companies are building brand on it. “Different social media platforms are going to work better for different types of brands” is the conventional wisdom. But Instagram hit 600 million users as of February 2017. 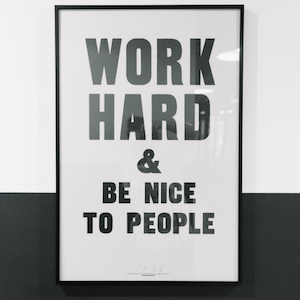 And B2B companies can still have success on Instagram by behaving more like people and a lot less like a company. They need to focus on specific ways to humanize their brand. The reward is great if they do. They can build relationships with followers that cannot be achieved on other platforms. 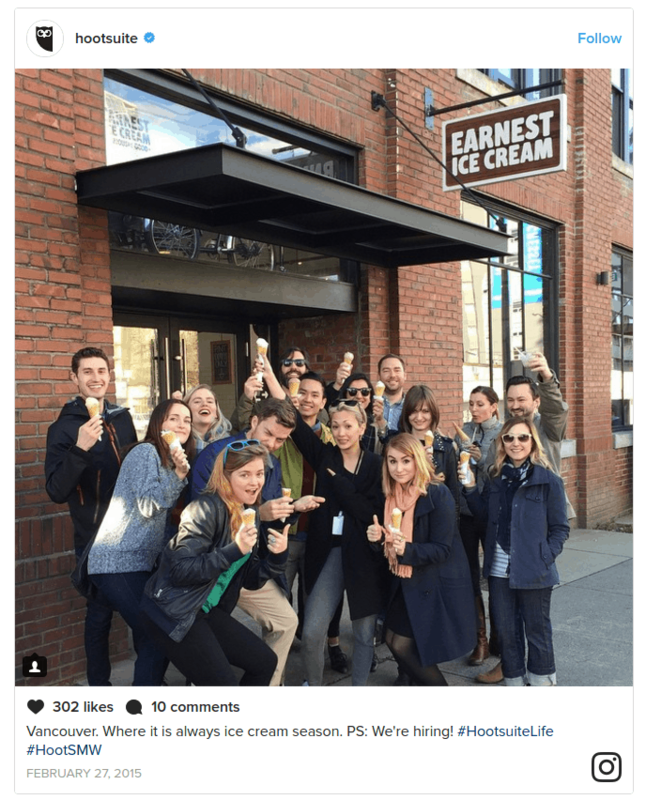 Here are some successful strategies used by leading B2B Instagram accounts. 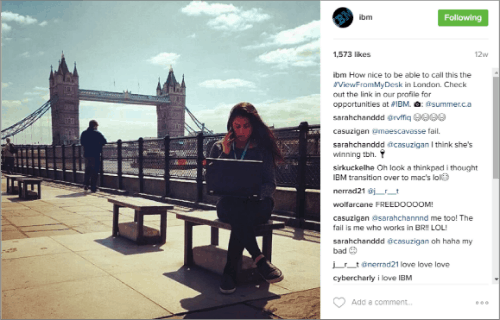 That was a simple photo taken by an IBM employee to showcase her opportunities to travel for work. IBM re-shared it, and it gained almost 1,600 likes. That’s one small example of user-generated content, or UGC. The post shows an artist’s interpretation of the universal desire to be noticed on social media. In less than a day, it had around 6,000 likes and multiple comments. You might think that counting likes is a little bit less data-driven than you need to be. 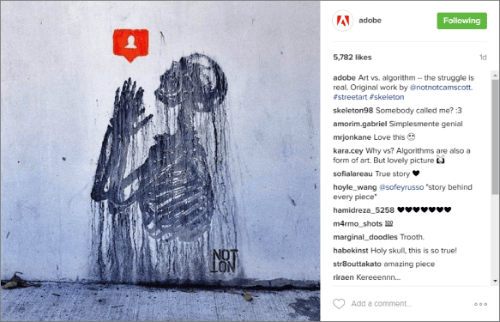 But, on Instagram, a brand should focus on engagement and followers. Your in-house team can’t necessarily keep producing amazing visuals all year! Rely on some of your users. In this case, it’s also important to remember that “users” can mean “employees.” This strategy is sometimes called “employee advocacy,” but whatever name you use for it, just remember that your employees have valuable content to share — and can highlight your culture in the process. IBM did it successfully in the first example. They tie an in-house event to a pop culture moment (movie release) to their CEO to their jobs board. That’s a masterful job of connecting different elements within a brand. If you were interested in social media marketing and could see yourself in Vancouver, you’d likely check their job board after seeing something like this. Many of us have seen the “Greatest Places To Work” list, and the same companies seem to dominate them. 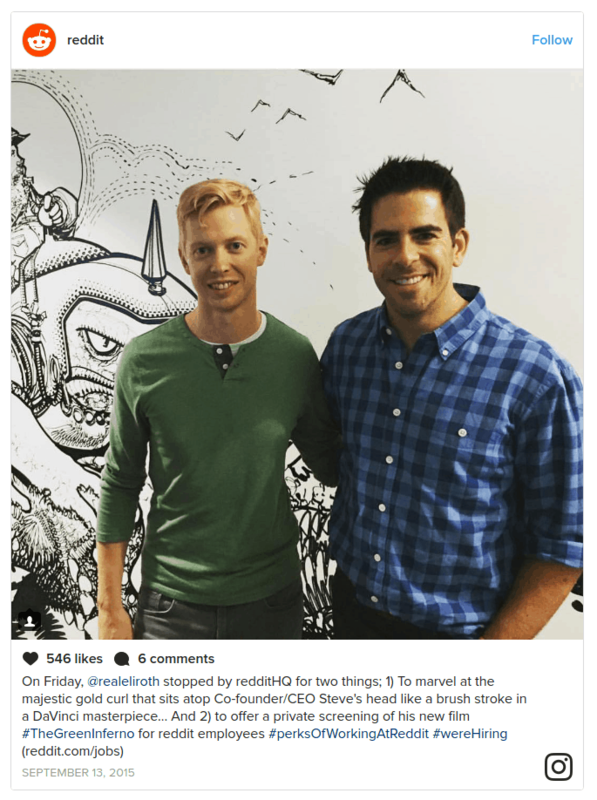 Instagram offers B2B companies a more human-oriented display of culture, people, in-house events, and perks. Hiring is a complex process but one of its core tenets is still building a quality funnel. Introducing yourself to candidates via engaging Instagram posts can attract candidates that dry job posts would not. And even if you aren’t hiring, showing the people behind your company is also a good marketing approach. Even in the digital-age, people still like to do business with people. This actually overlaps with user-generated content above. In this case, you have a user of Squarespace explaining her mission and why she uses the platform. You can explore more via a link in the bio section. The goal is to highlight a down-to-earth story in a visual way. Two large brands, National Geographic and Microsoft, are involved. This is coming from Microsoft’s Instagram account, and they’re essentially promoting the Lumia. But, instead of typing “Buy the Lumia,” you’re seeing an interesting photo and a challenge: can the Seven Wonders of the World be photographed by just a phone camera? This is naturally more interesting than simply being sold on the Lumia. For this strategy to truly work, you need a repeatable way to capture customer stories — and you need to find the ones with strong associated visuals. Your customers will be thrilled at the co-promotion opportunity! 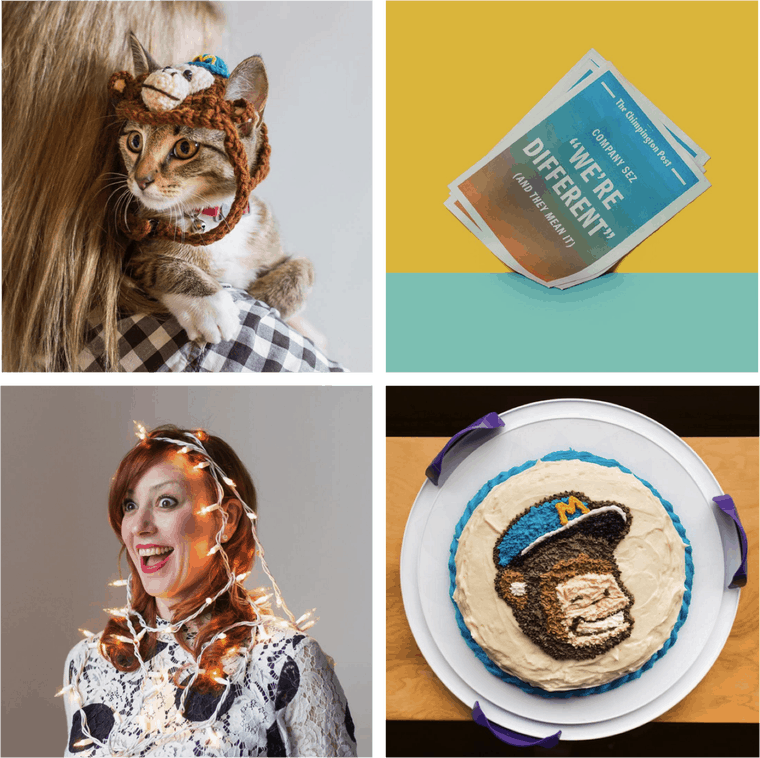 MailChimp’s Instagram has been praised by many, and with good reason. Everything they do, from product launches to new information, is conveyed in a zany, designer-style way. Their customers care about sharing their unique voice and product with their subscribers. Through the way Mailchimp shares on Instagram, they convey that they also strive for a unique voice. 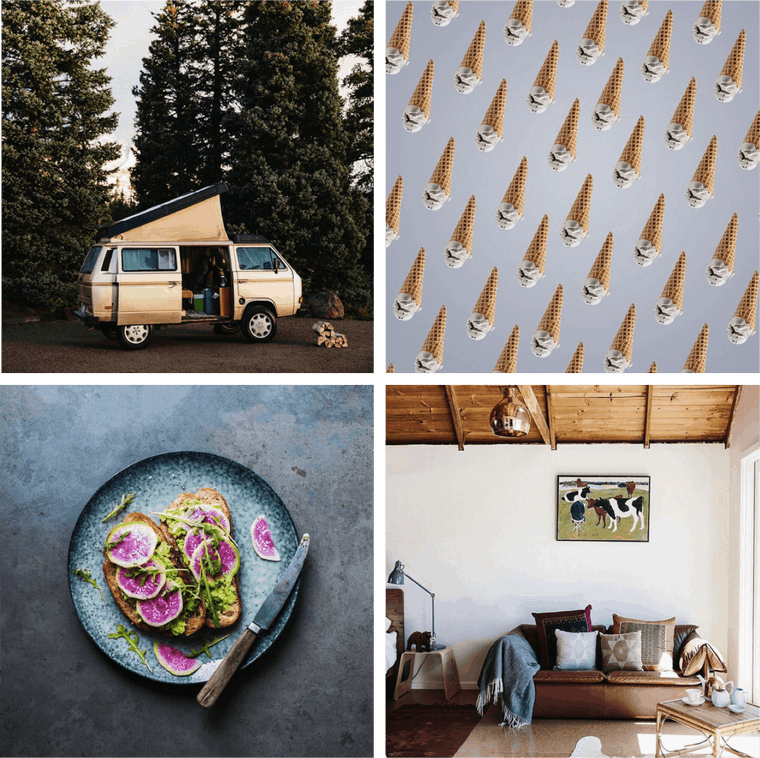 Not only do these showcase products on Squarespace websites (user-generated again), but they all have a remarkable degree of design simplicity. If a design-centric person was thinking about launching a website and scrolled Instagram, they would see that Squarespace valued the same thing as them. That’s a pathway to customer acquisition. This is slightly different from user-generated content. When you let the audience participate, you’re not necessarily soliciting anything from them, i.e. visuals and a story. Rather, usually through a hashtag, you’re conveying a shared core value. PayPal users use the hashtag #PayPalIt on Instagram, and that’s been applied on over 8,000 posts. While the narrative is set by Paypal, the users push the narrative along by participating with the brand on Instagram. WeWork uses a variety of hashtags like #wearewework. These speak to the power of work in people’s lives, which underscores the whole idea of WeWork’s business model. It also encourages their thousands of tenants to participate. That could be a relatively boring, industrial-looking shot of wind turbines, but because of the color composition and the sun setting/rising, it becomes much more interesting. People are more likely to read the description, which gives legitimate information about renewable energy. 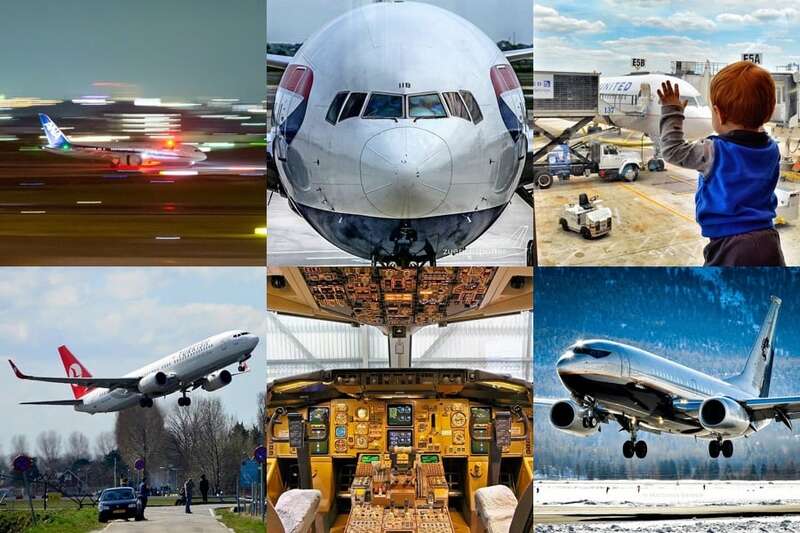 They are a large industrial brand, but they do a great job of capturing the wonder of flying and the spirit of traveling. This is what they have in common with users. You can casually open your Instagram account and have a good sense of who’s liking and following your posts. But, having day-by-day and post-by-post analytics allows you to see what is resonating most. 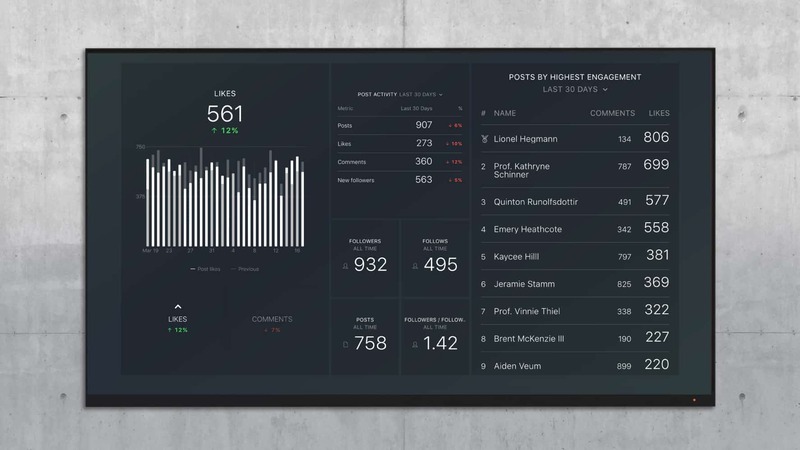 Below is an Instagram reporting dashboard available with a free Databox subscription. The ability to see everything in one place and across time periods gives you a quick idea on what’s working and what’s not. As we rekindle our social media marketing efforts, we’ll be more focused on using Instagram. At Databox, design is important to us. Our product, after all “visualizes” data. So, in addition to being a great way to showcase our work, we’ll be employing the lessons from the companies above. Follow us here to see what we’re up to. 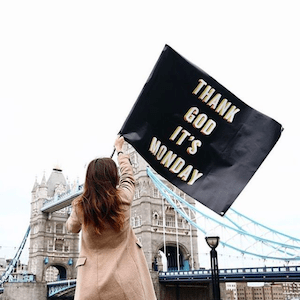 Instagram is not as straightforward as Twitter or Facebook, where you can simply share relevant content for your industry and get clicks back. It requires a bit more patience and creativity. Instead, you must be more expressive, like most humans naturally are and want you to be too. Your followers will want to feel like they have something in common with you. It probably won’t translate as directly to sales or conversions, right away or in easily trace-able ways. (Although you can put a link in your profile.) But, once your following is big enough, it will. It’ll also help you create the impression you want to create with your current and future customers. The companies highlighted in this article certainly have.